Lead is the lowest of the base metals and it was said to carry all the energy necessary for its complete tranformation to gold. It is know for its durability and resistance to change. All the metals beyond lead, meaning of greater atomic weight, will disintegrate over time by radioactive decay and transform back into lead. This decay is really the process of Saturn which introduces a new characteristic of the metals… that of time. To alchemists, lead is the metal of redemption and transformation. Lead is in the same group of metals as Gold. In fact, it is said that when it occurs in nature, it is found with gold and silver. The symbol for lead is Pb, which is from the Latin word plumbum, which refers to liquid silver. Its atomic weight is 82. 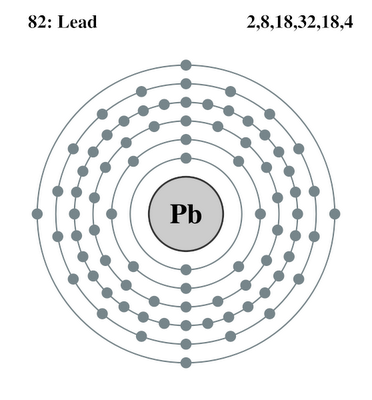 Lead is isolated from the sulphide, PbS. The process involves burning in a restricted air flow followed by reduction of the resulting oxide PbO with carbon. When you cut lead it looks just like the bluish-white color of silver, but that lustre quickly fades to gray. Lead is a soft and sluggish metal and is the slowest conductor of heat and electricity and is the least resonant. Lead is poisonous to all forms of life. In humans, this form of poisoning is called saturnism. Its symptoms include lack of energy, depression, blindness, dizziness, headaches, and rapid aging. Lead accumulates over time in the bones of the human body. Saturn (Latin: Saturnus) was a major Roman god of agriculture and harvest. In medieval times he was known as the Roman god of agriculture, justice and strength; he held a sickle in his left hand and a bundle of wheat in his right. His mother’s name was Helen, or Hel. He was identified in classical antiquity with the Greek deity Cronus, and the mythologies of the two gods are commonly mixed. In Babylonian mythology he was called Ninib. The Saturn-archetype is associated with the notion of a boundary or limititations of power and control, which reminds us of this lead-property. Saturn is the farthest planet away from the Sun in Alchemy. It is also the first rung in our Ladder of the Planets. Saturn is the coldest planet and the slowest moving taking 30 years to complete its elliptical orbit around the Sun. Saturn could have transformed into a Sun if it could have attracted more mass during its formation, but instead, Saturn sleeps in darkness. Ancient Babylonians said that Saturn was the oldest spirit in the heavens. It symbolizes the cosmis law of limits. Saturn and its metal of lead symbolize the principles of contraction, stability, structure, and materialism. 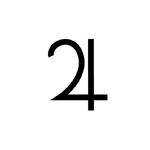 Astrologically, Saturn is represented by Capricorn and Aquarius. Capricorn is the mountain goat that climbs to new heights all the while being firmly grounded. Aquarius is a herald of a new age and symbolizes transformation. An early cipher for Saturn (and some say Jupiter as well) was Rx. Medieval alchemists would write this on a slip of paper as a cure. Their patients would eat the slip of paper with the cipher of Rx on it believing it had a magical intent. Others say Rx is a transmuted symbol that originally started out as the eye of Horus.